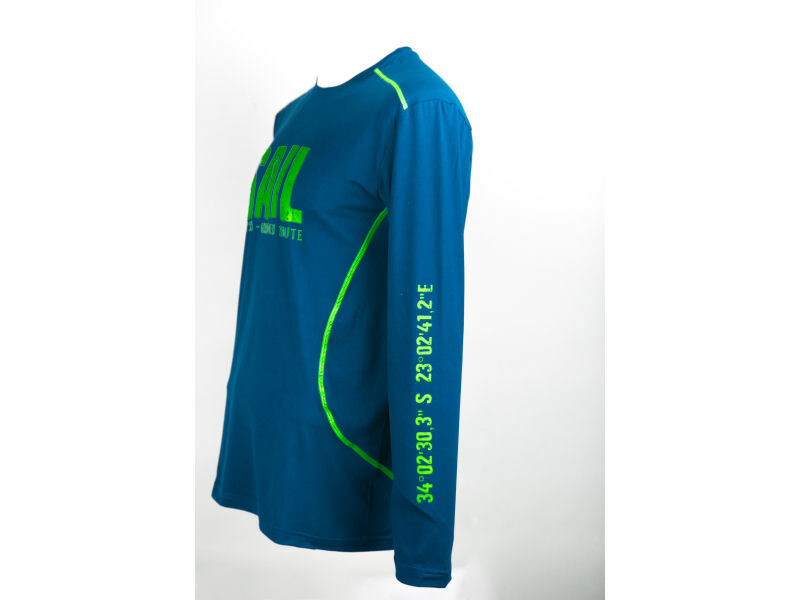 Petrol blue brushed polyester spandex long sleeve shirt with lumo lime trim. 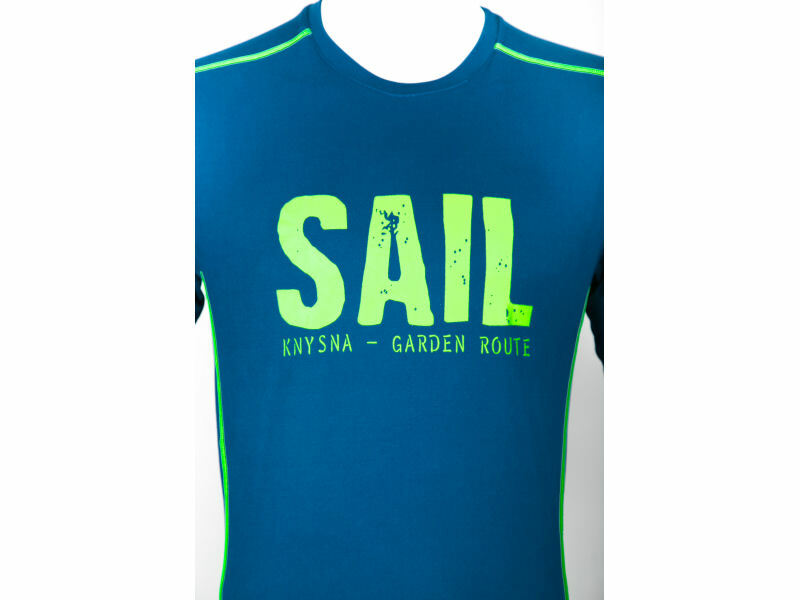 Lumo lime “Sail” print including “Knysna – Garden Route” on the chest. 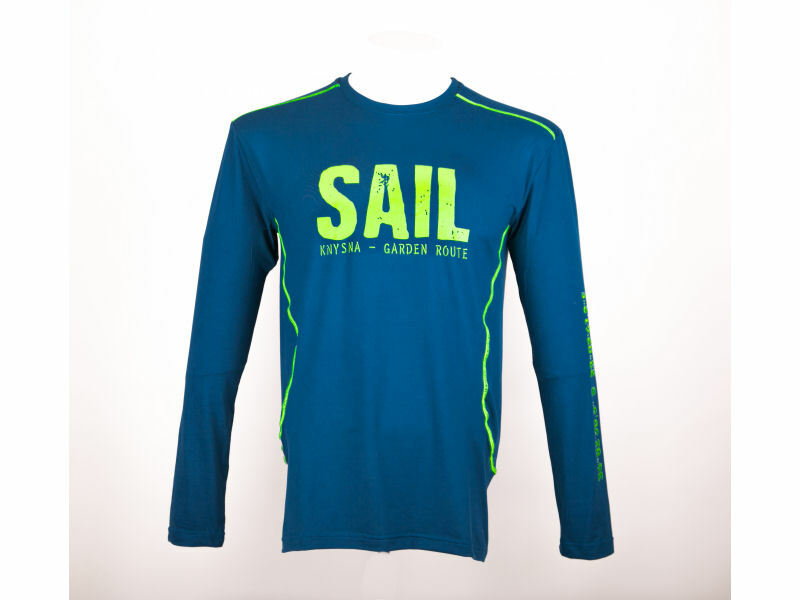 Lumo lime co-ordinates print down the left sleeve.